Central, yet peaceful town house. 1 minute walk restaurants. Antiques buyers paradise. One pleasant twin/double room and one single. Wireless internet. Parking. Friendly atmosphere. Convenient London, coast, Glyndebourne, historic houses/gardens. There are no rooms available at Aleberry for these dates. Parking: Limited parking is available on site and is free of charge. On street parking is available and is free of charge. Parking is available nearby at a charge of £5.00 per day. My stay at Aleberry was perfect for the occasion. I found the home so welcoming; my host was attentive and relaxed, hospitable and with scrumptious taste in food! I was sorry to be there for such a short time. A very pleasant stay - thank you. Mrs Andrew was most obliging and even returned an umbrella to me which I had carelessly left. Aleberry is a very nica place to stay. Kay makes you feel like staying at home. She is very friendly and helpful. Full recommendation! The room was clean and comfy. 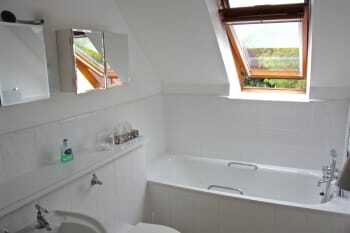 Shower and bathroom spotless. Lovely. Right off the high street. Close to all pubs and restaurants. This is a place of kindness. It feels like coming home and thus matches the Glyndebourne experience perfectly. Take the train to Seaford and a walk to Cuckmere Haven, a place of bliss and the location for the end scene of Atonement. Match the tide and cross the river where it meets the chanel. Brewers Arms is the best pub around. I go to Lewes on a cello course every year. Kay is so accommodating,nothing is too much trouble. She’s great company too. I wouldn’t stay anywhere else. An excellent stay, thank you very much. Very short walk to good restaurants. Such a lovely friendly helpful host. Really enjoyed my stay and would stay here again. Stayed here for a trip to the Amex. Aleberry is 10 mins walk from the railway station with trains every 10 mins to Falmer. We found 8 pubs in the town and there were several more to try if time had allowed. Great venue for an away day. 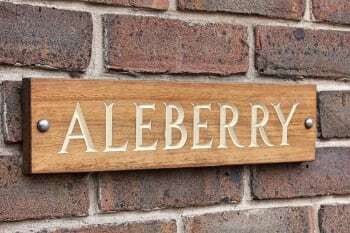 I have had some very amazing 5 Days at Aleberry. Everything is very nice and great location also, i recomend it since the women who owns it is an amaizing women. I cannot praise the welcoming spirit enough. Kindness is running Aleberry. I've been staying here for a few years and long to return as soon as I leave. A walk in the Downs and its magnificent hills are virtually around the corner. Brings Sound of Music to mind. Kay goes out of her way to make you comfortable. A good natter at the breakfast table is usually good fun. Thanks Kay. See you next year. Everything was exactly as I had hoped. It is in a quiet part of the town, with plenty of food outlets nearby. The house is conveniently laid out, with a private guest section. The other guest had an early shower in the shared bathroom, but this was no problem. A very friendly place that I will use again if I'm in Lewes. The Dorset ph next door seems to offer good meals. The South street fish & chips nearby is excellent, and not far away there is a popular cafe in Cliffe Street. There are walks on the chalk downs and the St Thomas a Becket church just behind is open during the day and has great historical interest. There is probably a lot more in the town. We were there for the Opera at Glyndbourne so didn't see much except for Lewes which was charming. We had dinner at Bill's good food and good value. Ideal central location. 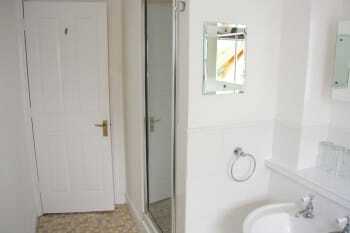 Walking distance to shops, restaurants and pubs. The road outside the bedroom is slightly noisy at night when the window is open because the weather is hot. Friendly host. Plenty of choice within walking distance. Close to Bills and also other chains in the High St. I stay at Aleberry when attending Love Supreme Jazz Festival. 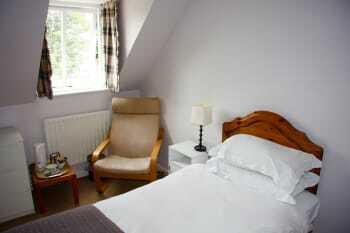 Excellent small B&B in central Lewes within walking distance of amenities. 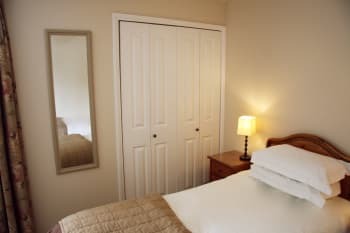 I enjoyed staying in the double room ( There is also a single room ) and resident owner Kay is genuinely interested in guests who stay there, the breakfast conversation is lively and on any topic. Service is second to none - Alex Polizzi not needed here ! Very friendly owner, will do what ever it takes to make your stay comfortable and enjoyable! Kay is a lovely lady and has a great B&B. Only downside is there is only two parking spaces on the front of the house as it shows in photos, but one usually has the owner's car on it and on the occasion I stayed the other was taken by the owner's daughter. So no off street parking available, which for me was a bit of a concern having valuable equipment in my car. However Free parking in car park opposite after 17:00 until 09:00. Plenty of restaurants and pubs within two minutes walk. Large Tesco store very close. Very good location for the centre of town. Quiet considering there's a pub next door. Ideal place to stay if you want to explore Lewes. Lovely guest house just off the main high street in Lewes. 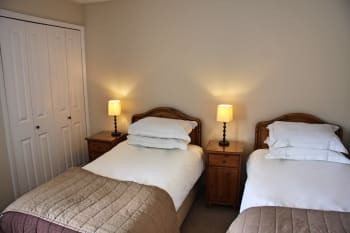 Comfortable and spacious twin room and friendly service from Kay, the owner. She replied to my many emails quickly and even bought us tickets for the bonfire which was incredibly helpful. Better comfort and care than anywhere else. It feels like coming home, only better. With Kay it feels you also find a new best friend. A lovely house to stay in, everything spotlessly clean, cool, and comfortable. Great attention to detail; uncluttered (which I appreciate) but every hook etc in place. Huge thick towels and bathrobe. Bedding pared down but absolutely cosy. Everything works (of course) - TV, hot water etc. Only slight problem for me, with my very poor eyesight, was that the bedside light needed to be brighter for reading newsprint. Breakfast perfect for me, served promptly without time wasting. Having said that, conversation available and interesting when encouraged! I hope I didn't keep Kay up too late. Cliffe High Street (adjacent) a most interesting street for antiques; see also Country Carpets. The wonderful French style Bills restaurant 3 mins walk away; Lloyds cashpoint 5 mins. Waterstones in historic building. Friends Meeting House (17?84) 10 mins walk. Thai restaurant in Station Street recommended. The location is on the (free) coach route from Lewes Station to Glyndebourne, and you can be dropped off on the Tesco Roundabout on the way back after a performance. Perfect location, very comfortable facilities and wonderful owner who made me feel welcome. The Snowdrop Inn - 5 mins walk away was a find! Home smelled fab. Kay is lovely. Great twin room. Warm. Clean. Nice bathroom. Kay was a great host who went above and beyond to make our stay great. Lovely stay, would defiantly return, thank you. Katy was a genuinely lovely host. We stayed for a wedding, and she was very flexible regarding a leaving time the following day. Very tasty breakfast. I lost my mobile and she rang taxi companies to see if she could find it. She was attentive and really helpful without being overbearing. House is in a perfect location in the centre of Lewes, yet its quiet so can still get a good nights sleep. Do have to share a bathroom, but it was clean and very spacious. Would definately come back. An excellent B and B and extremely good value for money. I like the fact that you do not have to pay for a cooked breakfast. I would certainly stay here again. Thank you for all the extras like use of your fridge and giving of directions, all much appreciated. I don't suppose by any chance One of my friends left her Mac in the bedroom cupboard ? Excellent location with everything in easy reach. Had a lovely stay and would visit again! Kay was lovely. After a very long day on a week's cello course there was a friendly face and a cup of tea or a rest in a quiet room with a very comfy bed. Thank you Kay. I hope to see you again. Brilliant location for shops and restaurants. All within walking distance. Home from home, clean comforfable and welcoming, nothing too much trouble for Kay to make stay a delight. Home from home, so comfortable & welcoming, clean, convenient and excellent in every way. The owner is very Kind. There are a lot of recommendable restaurants around, where veggie food is available. 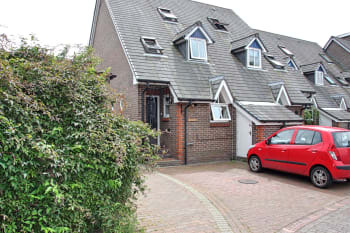 Convenient location close to Cliffe High Street. Very clean modern bedroom and bathroom. Good breakfast. Friendly helpful host. Recommended. Lewes castle and Anne of Cleves house in walking distance. Perhaps a few extra toiletries in the bathroom would make it more memorable and less bare. Decaffeinated tea and coffee would provide a greater variety for the guests. The owner was very hospitable and the cooked breakfast enormous. Wonderful hospitality provided by landlady. Felt like I was visiting a family. Host was really warm and friendly. This is a very comfortable B and B with a friendly and helpful host. Kay went out of her way to assist us with a variety of small problems. The cooked breakfast was delicious. The double room had tea and coffee making facilities and a shared bathroom (which was spotless). We were attending Glyndebourne Opera. If you do not have a car then book a taxi well in advance as they can be in short supply. Really enjoyed my stay. Room was very peaceful and comfortable and I enjoyed a generous cooked breakfast the following morning.